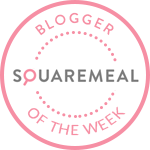 Emily's Recipes and Reviews | UK Food Blog | Leicestershire : cherry, lemon and pistachio shortbread. cherry, lemon and pistachio shortbread. Inspired by Summer, this lovely and light shortbread recipe is made up of fresh cherries, crushed pistachio and zesty lemon. Bringing together sweet, tart and nutty flavours makes this an easy, make-ahead dessert that wouldn't look out of place at a family BBQ, packed up in a picnic or as an easy dinner party dessert. The Picota Cherries especially bring a sweetness and depth to this homemade shortbread, which is offset by the contrasting ingredients. Hailing from the beautiful Spanish valley of Jerte, 200km west of Madrid, signature stemless Picota Cherries follow a natural blossom and harvest season. This means that every day the arrival of the deliciously sweet cherries is different - for 2018 it's July and August. You can now get them in Tesco, Sainsbury's, Morrison's and Aldi from July - but be quick, they may only be around for another month or so. Preheat your oven to 180 degrees C and line a loose base tart tin with greased baking paper. Step one. Beat together the butter and sugar, using the lemon juice to help get it started. Add in the zest too. Step two. Add in the flour and mix until combined. Lastly throw in half the cherries and pistachios. Step three. Place the mix into the tin, using a spoon or spatula to push it down. Add the remaining cherries and pistachios to the shortbread in a decorative way (in a pattern or random - the choice is yours!) and sprinkle with sugar. 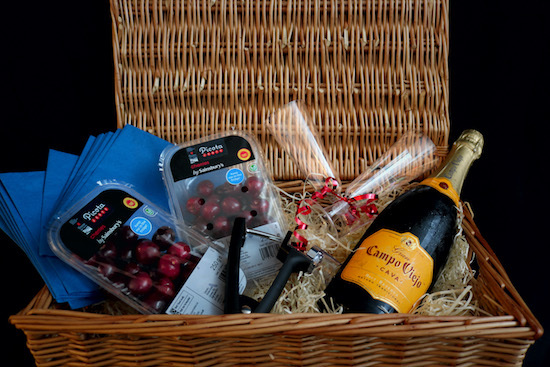 Fancy your chances of winner a Jerte Picota hamper of two delicious punnets of cherries, a bottle of Cava, flutes, a cherry pitter and napkins. Simply answer the question and enter via Rafflecopter below. Giveaway ends Wednesday 25th July 2018 - good luck! What is your favourite cherry recipe or dish? I love a cherry pie!! Sounds divine -I will try it out soon! Cherry pie. The blackbirds usually raid the cherry tree - and leave the stones in the birdbath! 5 ways with picota cherries. 9 winning recipes for wimbledon.